A flurry of new leases have been signed at a major Box Hill office building as local tenants become increasingly focused on updating their premises without leaving the area. Colliers International’s Damien Adkins and Michael Darvell, in conjunction with Gordon Kelly from Kelly & Kelly Property, have recently negotiated a string of new leases at 818 Whitehorse Road in Box Hill following an extensive redevelopment of the prominent building by landlord PCL. “The repositioning of 818 Whitehorse Road comes as tenants in the area look for opportunities to upgrade their premises without moving out of the precinct,” Mr Adkins said. “The 12-month redevelopment included a complete refurbishment of the building and the extension of several floors and the front façade. Everything within the building is now brand new, including the lifts, ceilings and air-conditioning. “The building owner was able to increase the buildings NLA by extending floorplates and secured ground floor street exposure for a new café by extending the front façade to Prospect Street and Whitehorse Road. 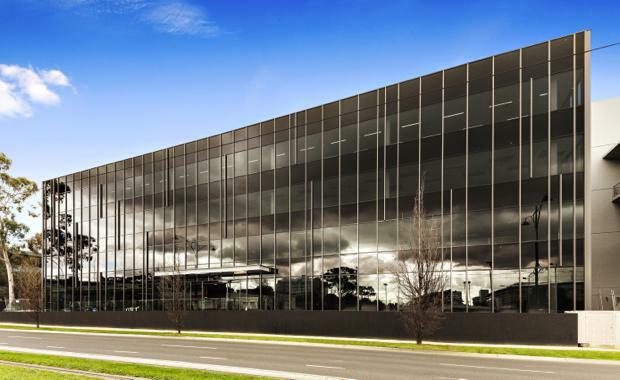 Mr Adkins and Mr Darvell have negotiated new leases for around 5,200sq m of the 6,000sq m building, including Telstra, Australian Aged Care, Flexera Software, Regus, Australian Unity and Hillross. These businesses join existing tenants such as Commonwealth Bank and Australian Refrigeration Council. “We are seeing great interest from tenants in this area to upgrade to new facilities whilst remaining within Box Hill,” Mr Darvell said. “Tenants in Box Hill want to stay put but there haven’t been many opportunities to date to upgrade their facilities.